Jaymie practises intellectual property law with a focus on patent litigation. 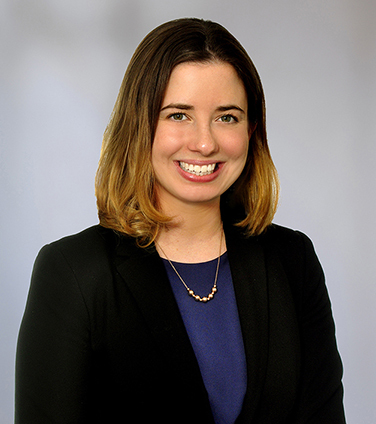 She joined Osler as an associate in 2018 after completing her articles with the firm. Jaymie received her law degree from Queen’s University in June 2017. Prior to attending law school, she obtained her Honours Bachelor of Science from the University of Guelph. Her undergraduate studies focused on molecular biology and biochemistry, culminating in a year-long thesis project studying steroid degrading enzymes. As a law student, Jaymie organized social and career development events as the president of the Queen’s Law Intellectual Property Club. Characterization of novel acyl coenzyme A dehydrogenases involved in bacterial steroid degradation, Journal of Bacteriology, 197(8), April 2015.